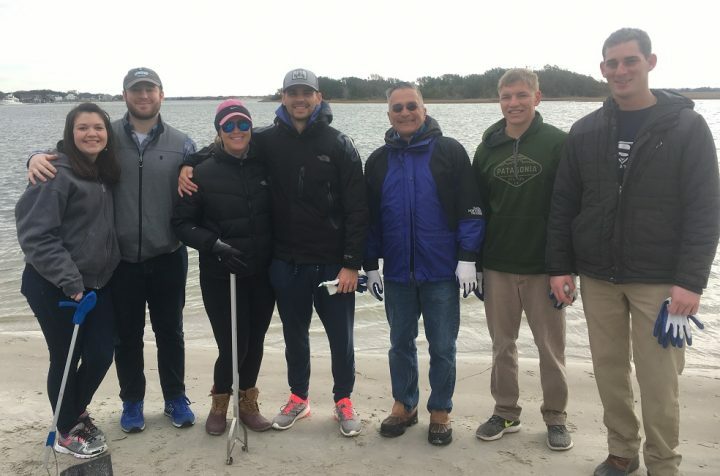 MOREHEAD CITY – A small group of volunteers met the morning of Feb. 9 at the Cedar Point Recreation Area boat ramp to collect marine debris from a few nearby dredge spoils. Rachel Bisesi, coastal education coordinator with the North Carolina Coastal Federation, which publishes Coastal Review Online, said the group collected about 380 pounds of marine debris. Four of the volunteers who made it out to the cleanup are part of this year’s Leadership Carteret program, and a small group from the program had already helped the federation bag oyster shell and will most likely help this month in building an oyster reef, Bisesi said. Leadership Carteret is a 10-week program of the Carteret County Chamber of Commerce that takes place in January and February and brings together 35 participants to learn more about the county’s residents and organizations. The class is broken up into smaller groups to work with five different nonprofits in the county through the duration of the program. This year’s nonprofits are the Coastal Federation, Hope Mission in Morehead City, The Carteret County Humane Society, Outer Banks Wildlife Shelter, or OWLS, and The Bridge Downeast, which offers after-school and summertime programs for youth. The program wrapped up Wednesday with presentations about the work of each small group with each nonprofit. The entire Leadership Carteret group met at the federation’s Ocean office Jan. 30 to learn more about its work focused on protecting and preserving the coast. Bisesi explained during a presentation that the federation’s goals are to encourage effective coastal management, promote the use of living shorelines, improve water quality, restore oyster habitats and work toward a marine debris-free coast. She then led the group through an activity that illustrated how land use affects water quality. As a part of our Leadership Carteret course, class members are split into teams that then pick an area service project. 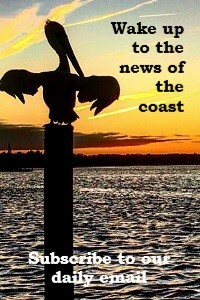 Check out this website made by a group to highlight the work they did with the @NCCoastalFed! https://t.co/pkvKG03RCi. She was particularly impressed with the federation’s work and chose the organization for her service project. The chamber has each year since 1988 assembled 35 volunteer members for Leadership Carteret. She said this year’s program included professionals from all over the county representing a range of professions, including a youth pastor, real estate agents, municipal and county government employees, Carteret Community College, hospitality and food workers and the State Ports Authority. Kemp said that Leadership Carteret is one of his favorite venues. A big part of Leadership Carteret is working with the five selected nonprofit organizations on leadership service projects. “We ask them to give our class a task and we break the 35 students into groups of seven and on their own time, they work with those nonprofits to complete that task,” Kies said. The federation reciprocated by recognizing the chamber in July 2018 with a Pelican Award for its partnership. 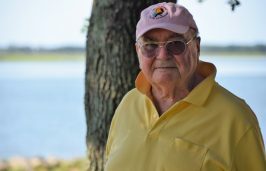 Bisesi said that for the past few years, the federation has been fortunate to have one of the working groups help with its oyster habitat restoration projects. “They’ve created bags of recycled oyster shells and built living shorelines using the shell bags,” Bisesi said. She said about a third of the participants learn about the federation through Leadership Carteret, and if they are familiar with the organization before they participate in Leadership Carteret, they don’t realize the variety of work that the federation does. 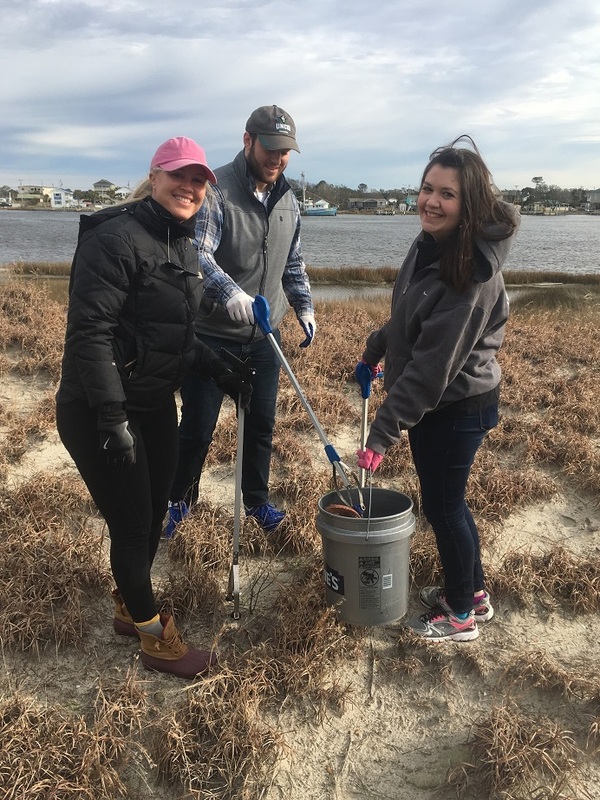 Krystal Bequette, wedding and events director for A Seaside Wedding & Events, is one of those previous Leadership Carteret participants who volunteers every chance she gets. She said leadership Carteret was a game changer and eye-opener for her. Bequette said on the first day of the Leadership Carteret, she decided that she wanted to volunteer with the federation. “I have a love for our waterway systems and the project sounded like something that would help our county for years to come,” she said.